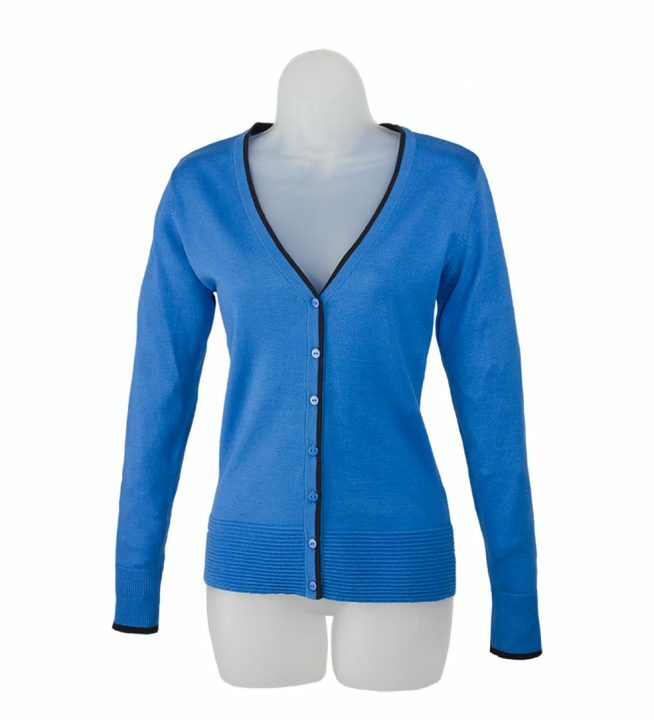 If your company is looking for a new look you would do well to consider corporate knitwear. A well presented team gives confidence to both employees and customers, getting that first meeting off on the right foot. Kylemark specialise in something a bit different. 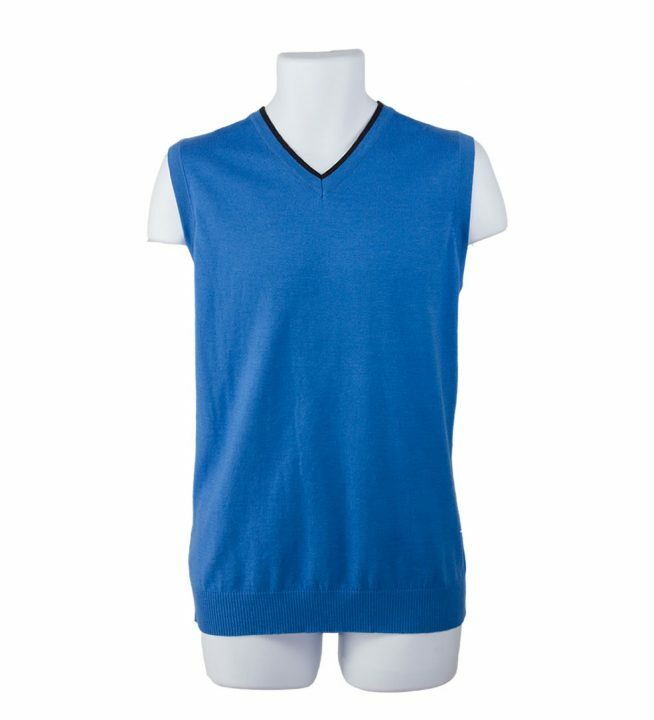 Where a lot of work knitwear can be a bit drab and uniform, we can provide bespoke clothing with contrast trim to match your corporate colours. 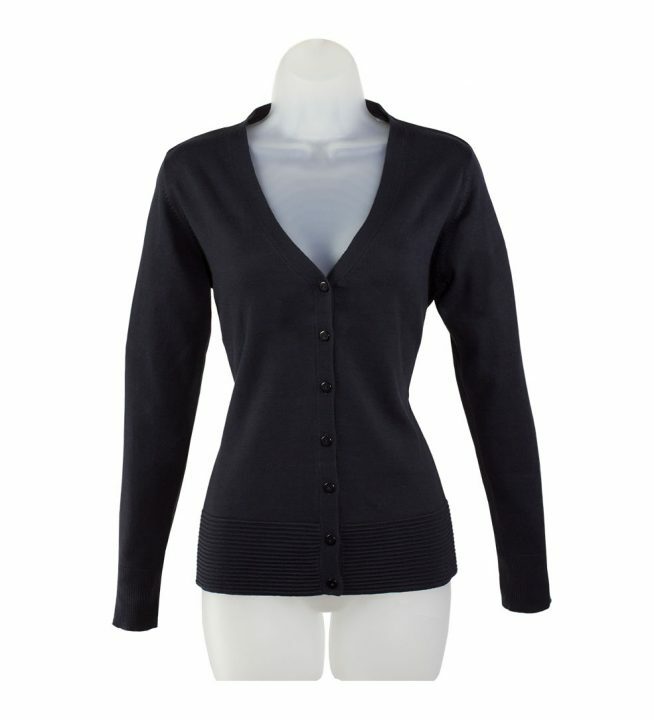 Combined with an embroidered logo it will give your staff that professional, unique look every business strives for. 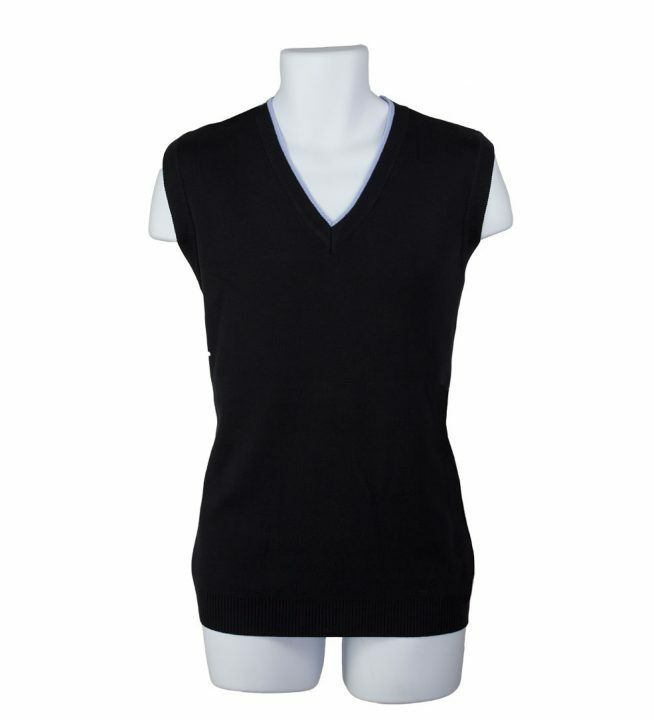 Available in an extensive size range in both gents and ladies styles, we can provide v-neck and crew neck jumpers, cardigans, slip-overs and more in a variety of colours. 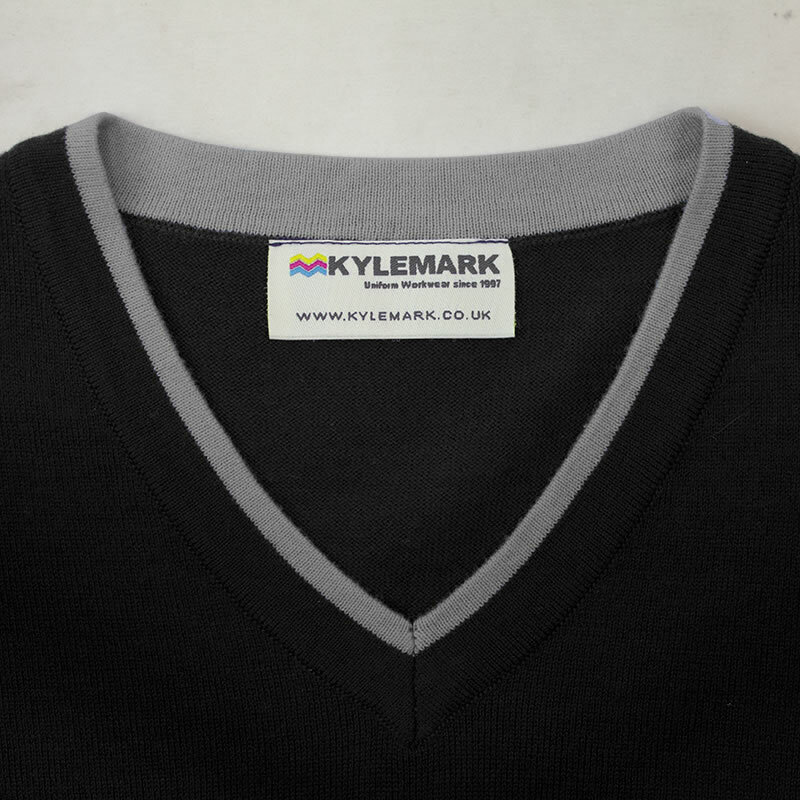 For years Kylemark have supplied knitwear to large and small businesses alike. 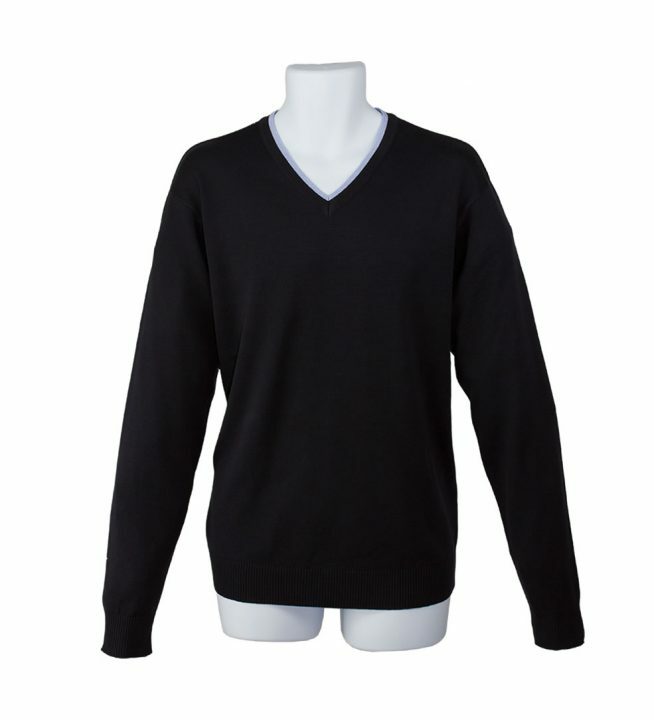 Coming in a range of styles we can provide high quality branded knitwear that will match any uniform style. 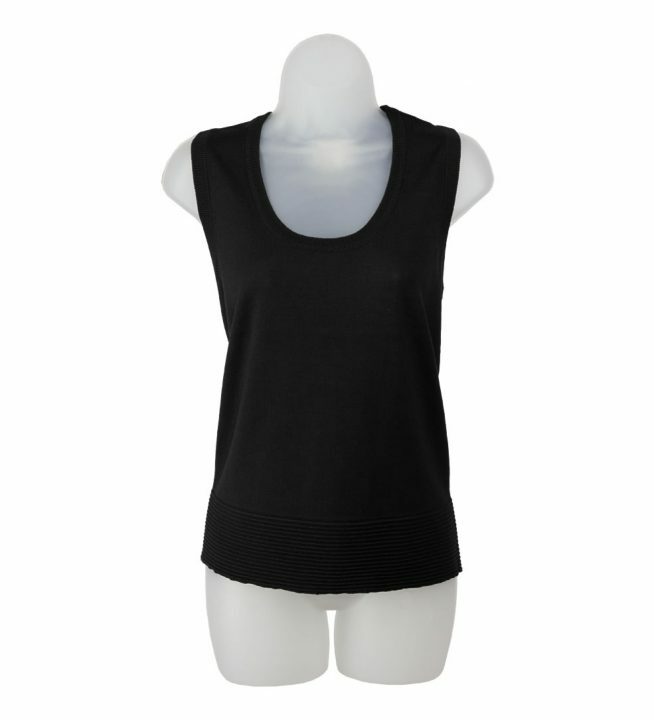 Knitwear looks great on both male and female staff and if you have a cohesive matching style throughout your workforce you’d be surprised just how good they look. 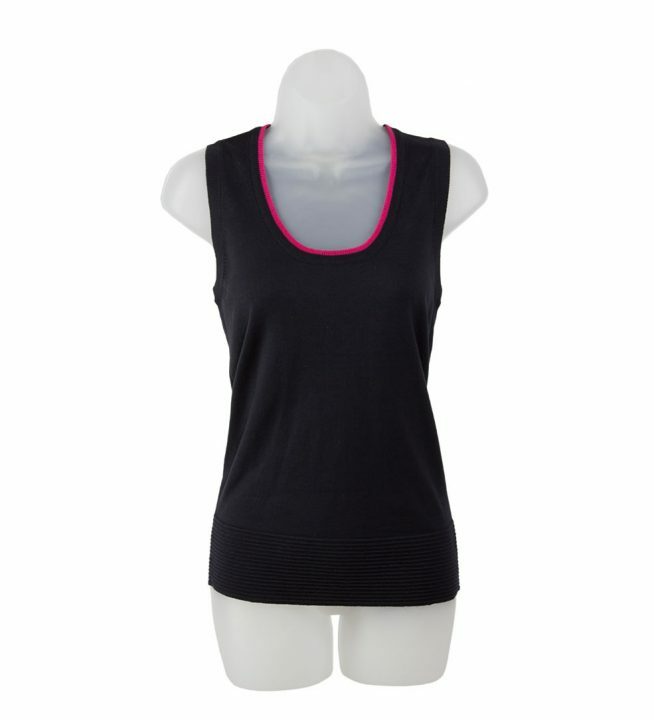 Our in-house logo embroidery service allows you to brand your garments in full colour and is very durable. 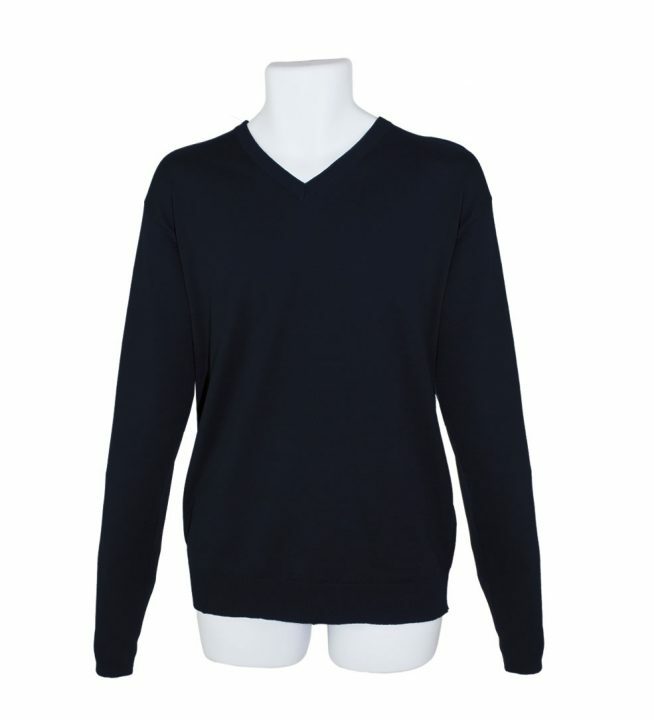 Knitwear takes embroidery well and is the finishing touch to your uniform. 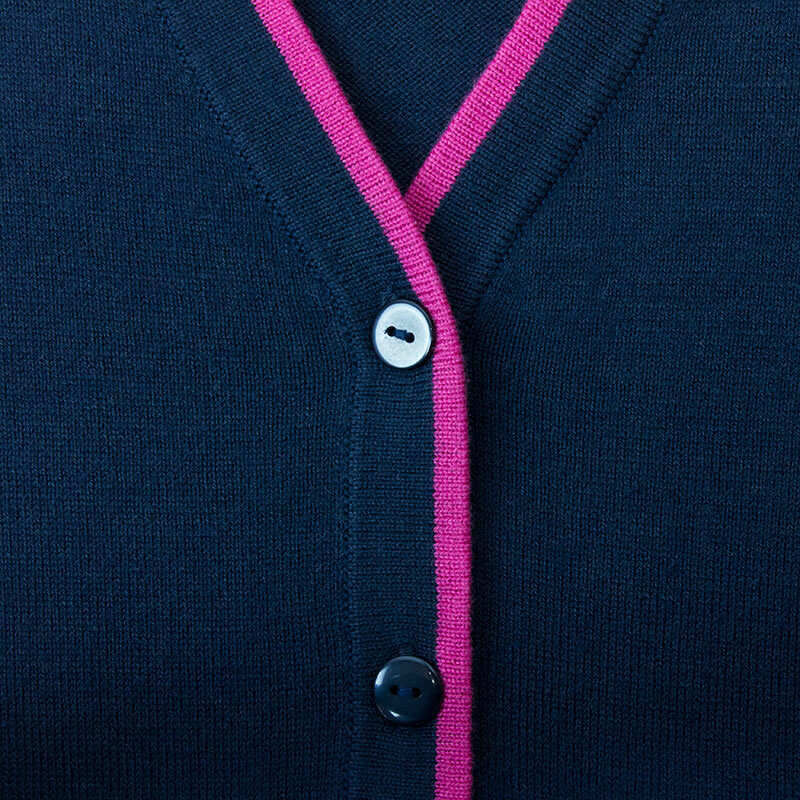 You can tell quality when you see the detailing in the garments and for larger orginasations we offer a bespoke knitwear service to match your corporate colours. 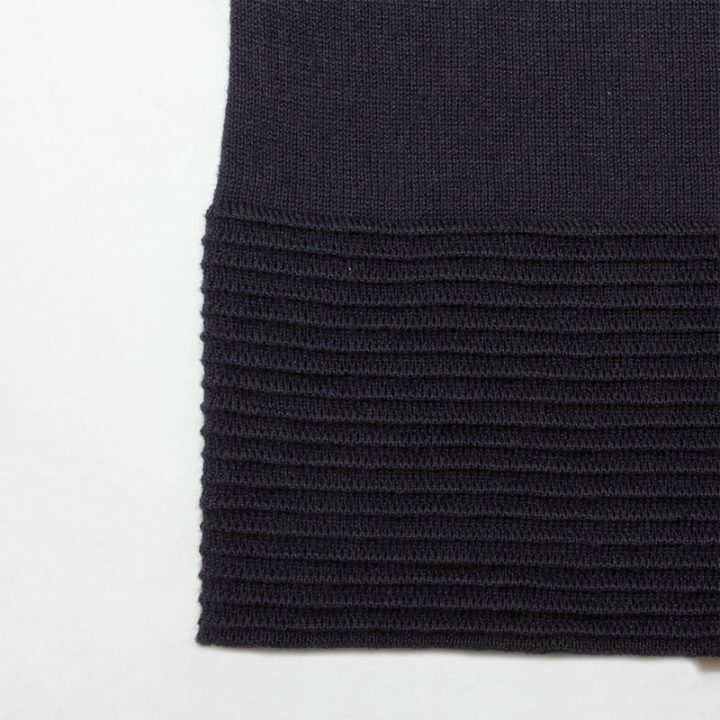 Ruffle hem makes a plain garment just that little bit more interesting. Selection of contrast trim colours can be modified to your own corporate colours. For as little as 36 garments we offer a bespoke uniform service. 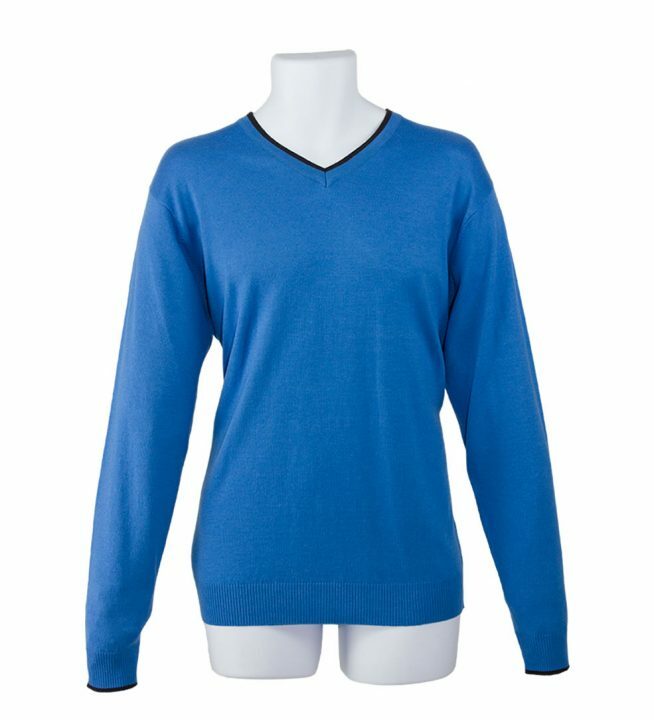 Have your knitwear produced in your corporate colours for that unique look, adding a contrast trim for the final touch.